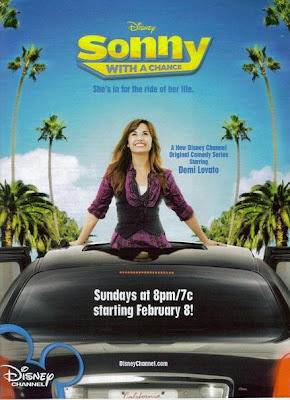 The True Gossip Home / DEMI RELATES TO SONNY ON "SONNY WITH A CHANCE"
DEMI RELATES TO SONNY ON "SONNY WITH A CHANCE"
MTV News recently talked to "Sonny With A Chance" star, Demi Lovato. She said her character, Sonny, is a lot like her. She's a small-town girl who finds fame and fortune in Los Angeles. "And she's, like, this little Midwestern or Wisconsin girl I kind of can relate to," said Lovato, who performed for the Obama girls at the "Kids' Inaugural: We Are the Future" concert in Washington, D.C., on Monday. "I'm from Texas and I'm thrown into this [thing that's like], 'Whoa everything is awesome.' It's really interesting."